Our engaging team of presenters use green-screen technology to cover every syllabus topic. 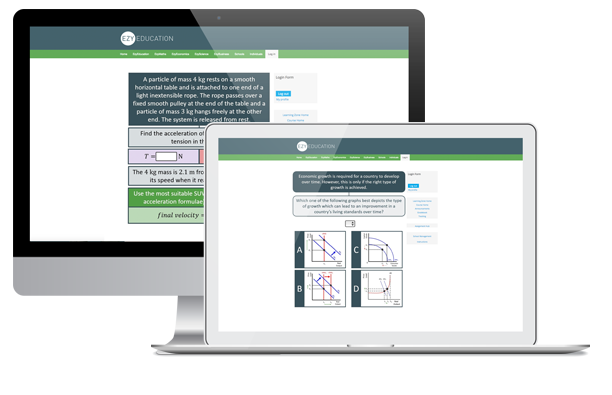 Our bespoke question functionality provides a wide variety of question formats to interrogate student understanding. Comprehensive explanations after every question attempt. A truly formative assessment experience. 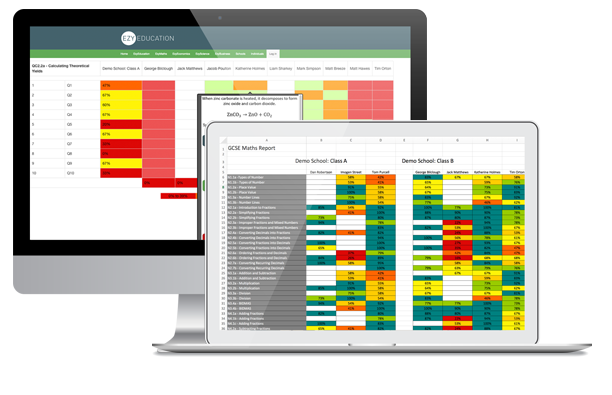 Teachers have access to student activity reports enabling informed management of activity and teaching interventions. Our recently released snapshots are causing quite a stir! 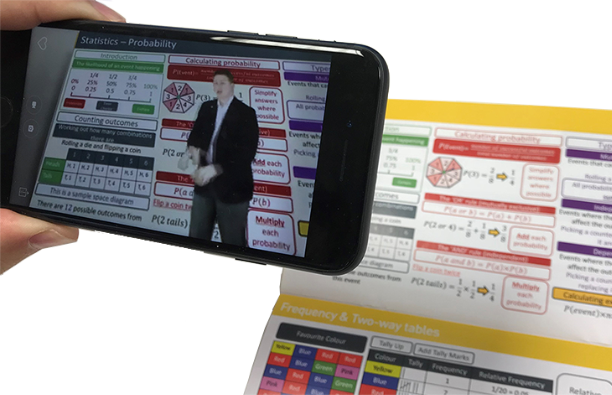 Pocket-sized booklets, perfect for revision, which have the extra power of augmented reality. Select your subject below to find out more. We give teachers more time to concentrate on improving students grades by automating many teaching practices. 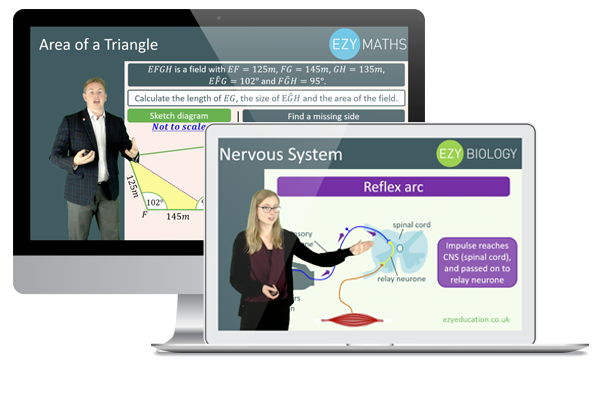 Automated marking is just one example of a time saving teaching resource that EzyEducation provides through our platform. Track your students’ progress quickly and easily, set more work and actively manage classroom participation. Allow students to increase their independent learning. Easy to track each student’s progress at a glance. 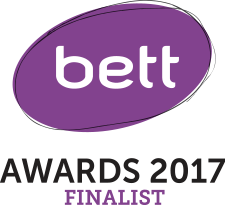 Better value learning support for GCSE and A-level. We build assignments that highlight learning gaps and provide feedback so students can correct themselves, progress and improve grades. We use real people in our course videos, presenting clear explanations and examples for the thousands of assessment questions that your students can access. Automated marking not only saves teachers time, it also means more student data can be collected, analysed and acted on. Better data = more effective teaching. Electronic marking, instant feedback and support taken care of, teachers can concentrate on encouraging and motivating students, accelerating learning and improving grades. Every student is trackable, with their own unique login. You will know exactly what each student has achieved, creating an honest, open learning environment, better teacher-student relationships and a happier classroom. Syllabus based videos and assessments with tailored feedback that cover all current syllabus requirements. Teachers can work students harder and smarter, while building knowledge. We don’t talk down to students. We believe they get the best results when they are committed to studying and exams. We use a mature approach, to encourage students to adopt an adult attitude to their learning, and benefit from the results this can deliver.